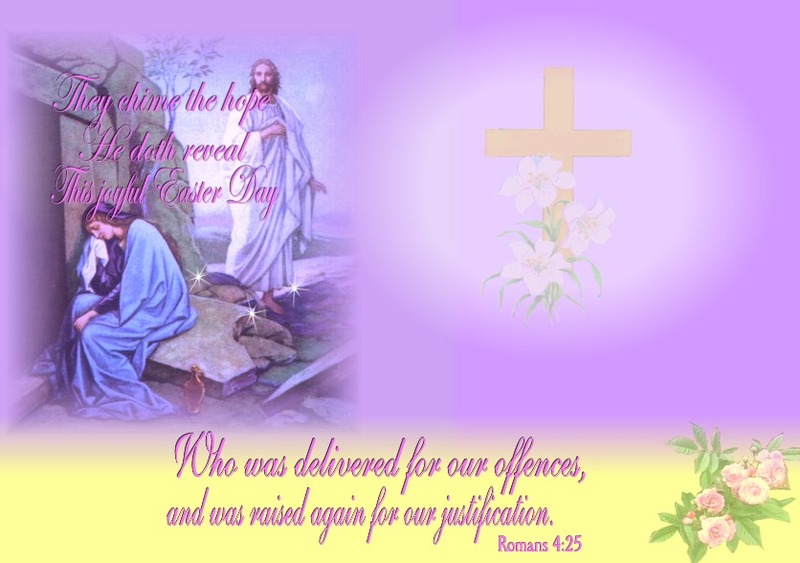 They chime the hope He doth reveal, This joyful Easter Day. "Rejoice," with swelling notes they cry！"Rejoice, rejoice;" they say." O the joy of life immortal, When in glory we appear. Come, see the place where Jesus lay. He's ris'n; He is not here. Ye shall behold Him face to face, In glory to appear. No longer Christ the crucified. But Christ the mighty King. While heav'nly hosts our Lord adore, Let all creation sing！"